Mindfulness & Mindfulness Meditation have become real buzz words in recent times; mindfulness-based meditation programs are being used increasingly in mainstream healthcare to help people build resilience & deal with stress, anxiety or depression. So you might be wondering exactly what mindfulness is. So Mindfulness is the practice of bringing our full focus & attention to being right here, right now. It’s surprising how often we are somewhere else! Mindfulness Meditation starts from this practice, & combines the proven effects of Eastern meditation techniques with the insights of modern neuroscience. Mindfulness Meditation is not linked to any faith, creed, or philosophy, but is a practical & accessible approach to meditation that allows all of us to learn how to enhance our own mental, physical & spiritual well being in a way that can work for everyone. Mindfulness is being talked about everywhere as the answer to stress and anxiety, but what is it and what can it do for you? Find out if it’s for you by listening to this sound clip. 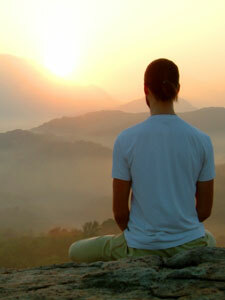 Regular Mindfulness Meditation practice brings mental & physical benefits. It is known to lower blood pressure; increase the body’s ability to heal; improve immunity & ability to cope with pain; & move brain activity from areas associated with depression & anxiety to those associated with feelings of happiness, relaxation, & emotional balance. People who have attended my Mindfulness Meditation workshops report better sleeping patterns; improved clarity of mind & decision making; feeling more relaxed & less stressed; generally being happier – all great reasons to try it! I hold regular workshops throughout the year & can also create bespoke programmes for your group or workplace. Please contact me for more information if no upcoming dates are shown here.